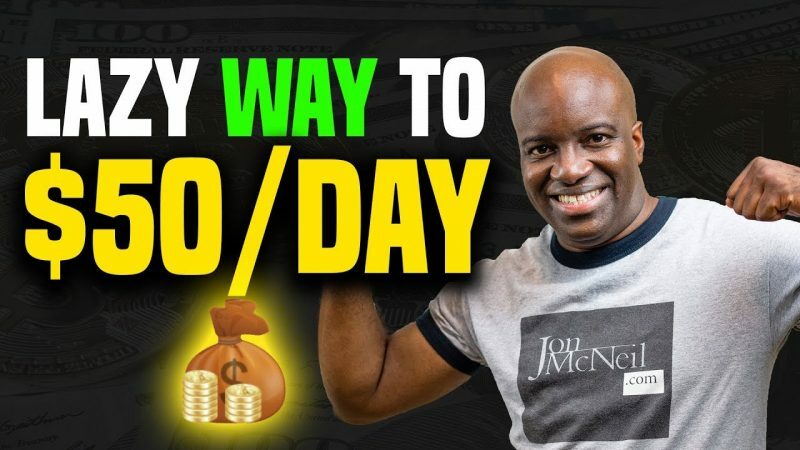 In this video, I am going to show you how to make $50 per day online with affiliate marketing. This strategy is not theory and is proven to work, so pay close attention and implement this strategy exactly as I lay it out. Nice ! Focusing on the YT ads Crash Course you recommended more than a week ago, though. Just wanted to say thank you. Not directly related to the episode, but your channel still inspired me to start making content. And trying to get my own channel up and coming. Thank you so much Jon for the step by step instructions. I really like your video. bro how to run google ads for affiliate marketing? Thank you so much for selecting my comment, Jon! My PayPal email is [removed for privacy – Jon just paid me, thanks Jon!] You rock, Jon, thanks again! Great content as usual Jon, really awesome stuff. Just out of curiosity, do you know of a few other "sales funnel based products" a person can recommend? Just as a back up in case the one I'm plugged into is too expensive for some people. Ok, I placed my email address on your 4 figure training, and Aweber (capcha) but it circles, then checks than goes RIGHT BACK to not accepting- ..??? Who can afford Click Funnels?